I cult skincare product in the beauty world I believe, I received this for Christmas and couldn’t have been happier, I’ve been dying to try it. I’d previously used the Garnier Micellar Water (which still gets used when I’m being lazy). You put about two pumps of the cleanse and polish into the palm of your hands then smooth it into your skin, rubbing off your make up until it all breaks down. Then rinse a muslin cloth under warm running water and wipe away the product, and voila your makeup is no more! I love this because my skin always feels so smooth and refreshed afterwards. I banged on about this stuff last time but its just so good. 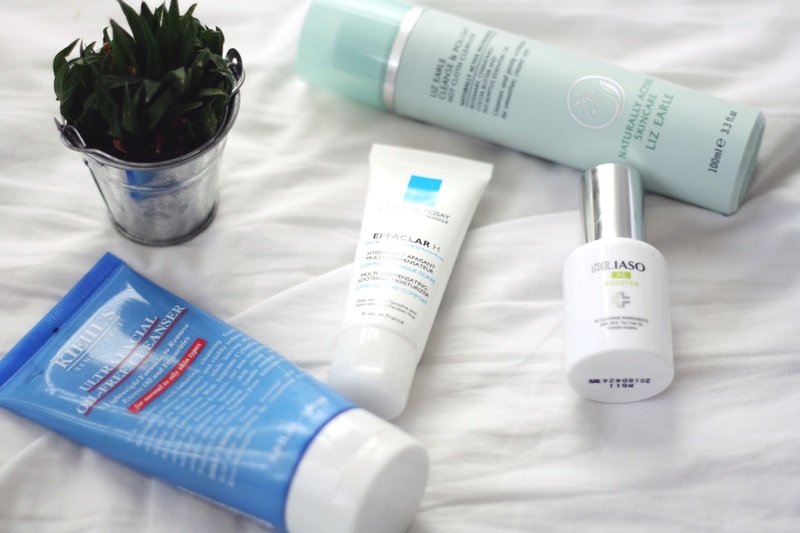 I know the Liz Earle Cleanse & Polish is a cleanser but double cleansing never hurt anyone. You apply this to your damp face and then wash it off again, simple. I do love using this because I have pretty oily skin, so if you’re someone who also has a more oily complexion, this might be one for you! Funnily enough I hated this at first because I thought it was breaking me out, but then I gave it another go as it was just sitting in my cabinet and fell in love. Turns out it wasn’t this breaking me out! This is aimed for more oily and blemish prone skin, which I have so it works really well for me. It really hydrates my skin as well as keeping oils at bay. It doesn’t have a particular smell, which is great if you don’t get along with fragranced products. I honestly love this product. Before this came along I never used a facial oil and didn’t really understand them. But again this is targeted at blemish prone skin, and also oily skin types. It has kept my skin pretty much free of spots since I started using it. I mean I do get the occasional spot, or mini breakout but I feel this clears it up again super quickly. I love it! What products have you been using recently?